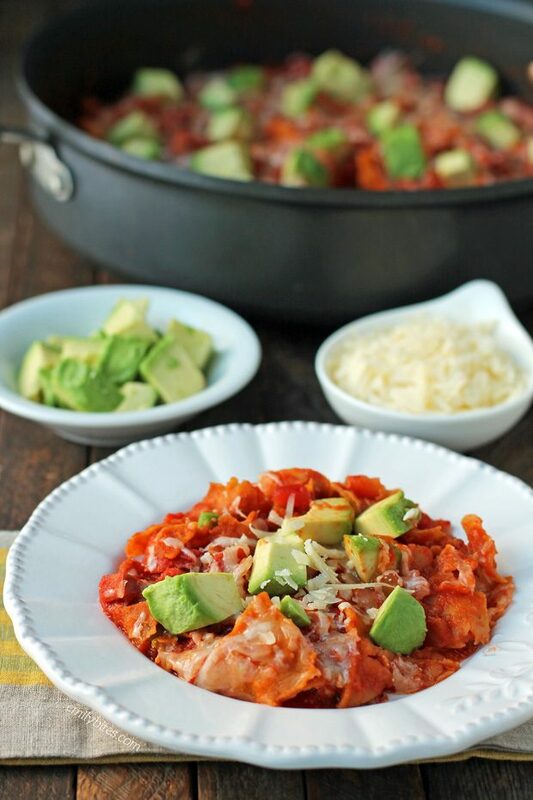 These Smoked Sausage Chilaquiles may not be the most traditional version of this dish, but they’re a super tasty, lighter way to eat some of your favorite Mexican flavors for breakfast! 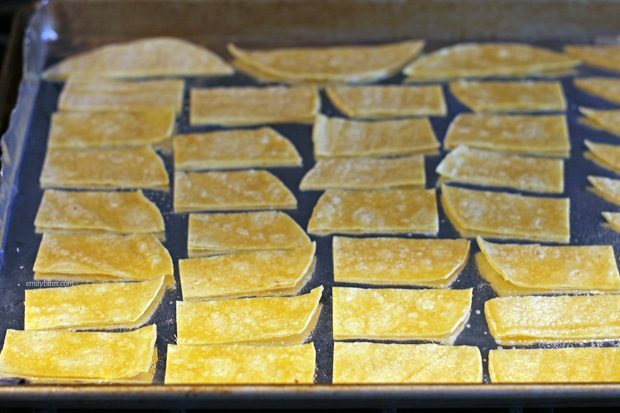 Chilaquiles usually use fried tortillas, but to make these a little healthier I baked mine instead. I also decided to throw in some smoked turkey sausage because I thought the smoky flavor would pair deliciously with salsa and because sausage always makes a good breakfast in my book. I finished my chilaquiles off with cheddar cheese, fresh avocado and a squeeze of bright lime and I think they turned out perfect. 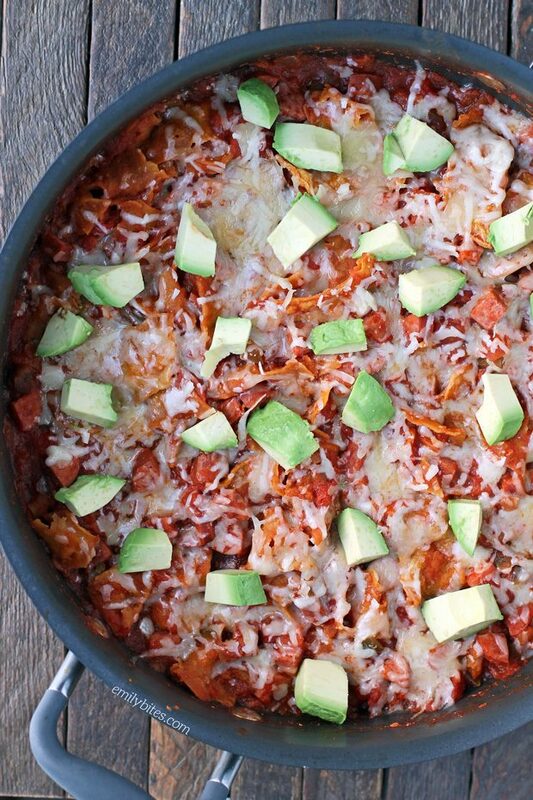 The fun with this dish is that it’s very versatile and you can really make it your own by adding or changing the mix-ins or toppings to taste. Beans, chicken, salsa verde, sour cream, pepper jack cheese – whatever you like or have on hand. Dream big! No problem, I know there are folks still using them! ooo- yumm! This looks delicious and I love the combo of flavors! I made this for breakfast today but made it vegetarian using black beans and veggie stock. It was delicious! Thanks for the great recipe! I love this recipe, has such great flavor and you can make it as spicy as you want based off the salsa you use! I love mine extra spicy so we use the 505 salsa! Thanks Emily your recipes are a staple in my home!